Dennis Gardin, international speaker and executive director of the Georgia Firefighters Burn Foundation, is highlighted in the new #1 bestselling book, The Psychology of Wealth, by Dr. Charles Richards. 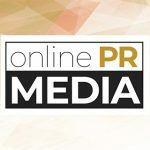 Online PR News – 01-February-2012 – – Dennis Gardin, international speaker and executive director of the Georgia Firefighters Burn Foundation, is highlighted in the new # bestselling book, The Psychology of Wealth, by Dr. Charles Richards. As one of the stories featured in a book that has flown to the top of the bestseller lists this week, Dennis is keeping good company with such notables as Donald Trump, SUCCESS magazine owner Stuart Johnson, Tennessee Representative Johnny Shaw, and many others. Today, Dennis and the foundation help burn survivors in their recovery and provide fire safety education to prevent others from experiencing the traumatic event of a burn injury. When Dennis was 14 years old, over 70% of his body was burned while he was working on his motorcycle, against his parent’s wishes. Because his doctors were certain that Dennis wouldn’t live, they didn’t even try to move him to a children’s hospital from the adult burn ward. In Dennis’ words, “It didn't matter where I died.” Against all odds, and after 50 surgeries, he did survive, and the world is better for it today. As a teenage burn survivor, Dennis saw himself as a monster and hid in his parents’ home for two years. At the time, there was little or no support to help with this type of trauma for either Dennis or his family. Indeed, if you had told the teenage Dennis that today he would be the director of a major burn foundation, running burn camps for kids and traveling the world to talk about his experiences, he would have never believed you. He wants to be sure that no one has to experience what he and his family went through without solid support. For more information go to Georgia Firefighters Burn Foundation. Charles Richards, Ph.D., author of The Psychology of Wealth, is a Doctor of Clinical Psychology, author, and licensed psychotherapist in private practice. He has trained and coached the senior executives of many Fortune 100 corporations, including General Motors, IBM, Apple, Motorola, SAP, Qualcomm, Whirlpool, Honda, and Sony.